This is book #2 in Mark Lawrence's The Broken Empire series. If you haven't read book #1 (and you should), you will probably want to skip this review (and go buy book #1... now). 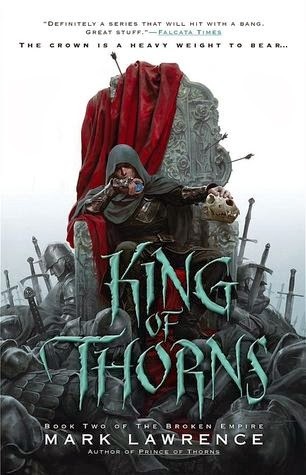 My review for Prince of Thorns (The Broken Empire #1) can be found here. A six nation army, twenty thousand strong, marches towards Jorg's gates, led by a champion beloved of the people. Every decent man prays this shining hero will unite the empire and heal its wounds. Every omen says he will. Every good king knows to bend the knee in the face of overwhelming odds, if only to save their people and their lands. But King Jorg is not a good king. Faced by an enemy many times his strength Jorg knows that he cannot win a fair fight. But playing fair was never part of Jorg's game plan. Having to type "six nation army" only served to put the bass-line of Seven Nation Army in my head. It feels good to root for the "bad guy." Or maybe it makes more sense to say it feels good to root for the guy who knows what he is. A hero is full of doubt. A hero concerns himself with the greater good. 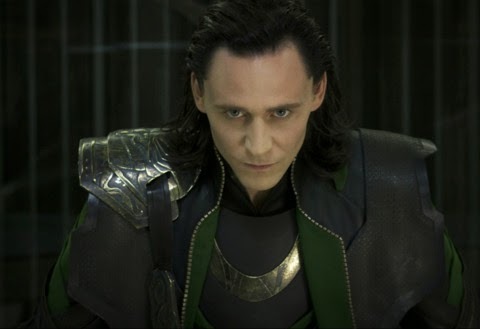 An anti-hero; well, he could care less for the greater good, unless of course that greater good is in line with his own goals. It's a different feeling than rooting for the guy that is "supposed" to win. Who, just for a little bit, wouldn't want to see Vader take the Empire? Mark Lawrence graces us with a homicidal @$$hole that you want to win. Well played. Once again, my review for Prince of Thorns can be found here (I'll be sort of referencing it). I had some fears coming into the second book of the trilogy. Book one set up an anti-hero you could get behind, but it also set up some explanation. 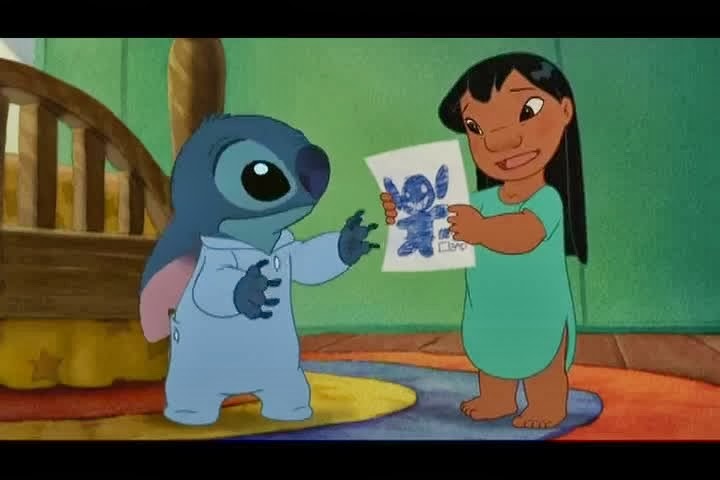 Explanations scare me. It was the need for explanation that gave us Darth Frankenstein. I was afraid they could give us a Jorg who is not the anti-hero we love, but rather some pawn of greater power that is an anti-hero because of design. They could give us his recognition of that and the possibility of zero badness level (or at least an abated level). It does and it doesn't. A fantasy series is like breaking new ground on a construction site. The first book is the basement. It is the foundation that will hold up the rest of the series. The flashiness and aesthetics are minimal here as a foundation is built to support the structure. It is here you learn of character, you learn of setting. But as the construction continues, as the building grows, and sequels release, more and more is added to the world. Locations develop, magic is added in new ways and in greater volume. King of Thorns is no different. We learn more of the Broken Empire. We see more magic (necromancy and others) and more of what the Builders left behind. But that is all window dressing. It's signage and lattice-work and trellises. It is eye-catching, but not what holds everything together. The bricks and mortar here is Jorg. It's Makin and Gog and this band of miscreants. It's emotion. And for Jorg, it's knowing who you are and taking what you want - world be damned. I understand I am years late in writing this. Book three is long since released (and if not next will shortly end up on my "currently reading" spot), and a new series set in the Broken Empire will be released June of this year. But maybe you haven't read any of this series. Maybe you are tired of Frodo carrying the ring to Mordor and saving the realm. Maybe you are looking for something different. Something dark. Something with teeth. If that is what you want. Mark Lawrence has a trilogy for you. Recommended. "No, you dense, irritating, miniature beast of burden. 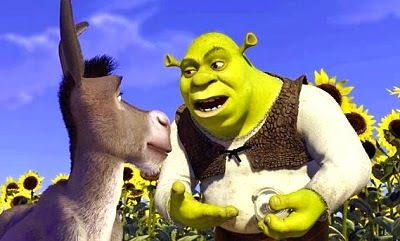 Ogres are like onions. End of story." 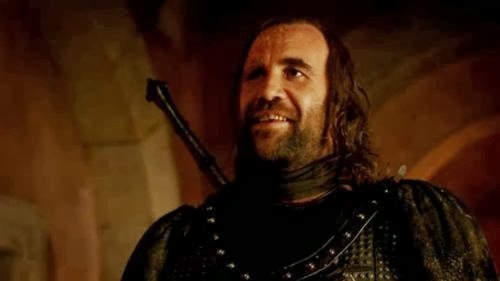 I approve of any blog post that references The Hound. …okay, *but* his badness level was reduced (as was hinted at in book #1) and therefore has dropped a level in my interest hierarchy.